At the very Outset, I would like to mention that I want to put forward points which are my own although influenced by many point of views found across the web. I had several experiences which gave me more clear outlook and mental strength. Anyway I will start with the very definition of Peace Of Mind as I perceive in the following paragraph. When the phrase Peace Of Mind comes to mind, a state of steadiness is felt. 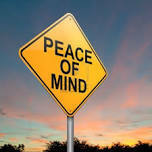 Peace Of Mind represents a particular state of mind where mind is in total sync with our soul which is ever lasting. If you are in total attachment with your soul then everything will be steady and not vulnerable. The vulnerable state can be termed as turbulence state. We must guide our mental flow from the turbulent state to a state which is smooth and static and can be termed as tranquility. We must know that this Journey from Turbulence to Tranquility is an Inner than outward. During turbulent times a whole lot of emotions occur vehemently. The mind tends to be impulsive at turbulent times and awareness about the moment is lost. We think lot of bad things about what happened during the turbulent times and also we think about the future. These kind of thoughts blocks our mind and we can not think clearly. A turbulent mind with directionless thoughts drain out the Inner energy. This energy is called prana. So this way we are completed tired and frustrate and depressed (If suffering from depression, as in my case) too. So how do we move from this turbulent state to tranquility? As a matter of fact Meditation is the strongest tool which can be used in such a situation to minimize the mental effect of the bad thing that happened. Without a bad situation also, generally Meditation can be practiced regularly as a result of which a strong Inner strength is build-up and helps in bad turbulent situations. Through meditation helps the mind to find tranquility effortlessly. So to conclude I would say Meditation propels the Inner Journey from turbulence to tranquility. And thus peace of mind is achieved.